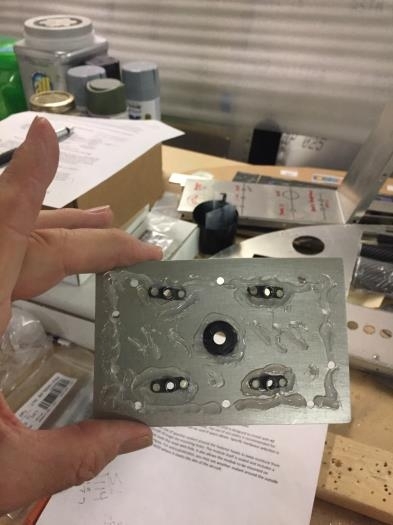 Prepared the GPS doubler and added nut plates. 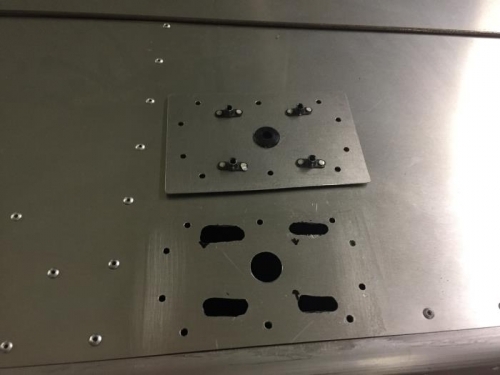 Drilled holes in top of fuselage large enough for nutplates to clear and allow the doubler to sit flush. After filing the holes the doubler sat flush. Applied silicone to back side of doubler and riveted in place. 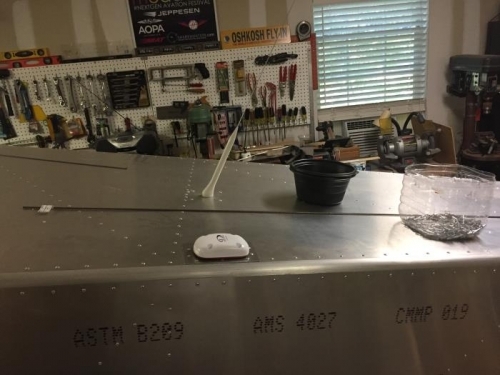 Installed the puck and ran the wires forawar through the fuselage. Need to get some 8-32 X 1" stainless screws as 3/4" is too short. Once screwed in place will add silicone around base of puck.